Nice idea but the faces don't look like him IMO. 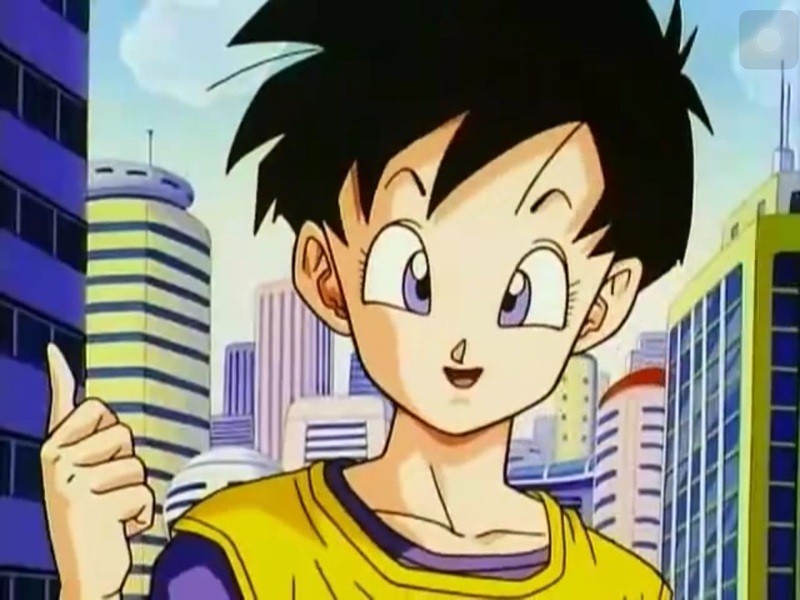 I don't think the face looks like him at all. It's too short. And for anyone who is a fan of The Crow or Brandon Lee check out this figure from Hot Toys coming next April...Awesome!! Pretty sure they're sold out, as they were limited releases, but I would kill to own those two sets. I love seeing custom Lego sets. 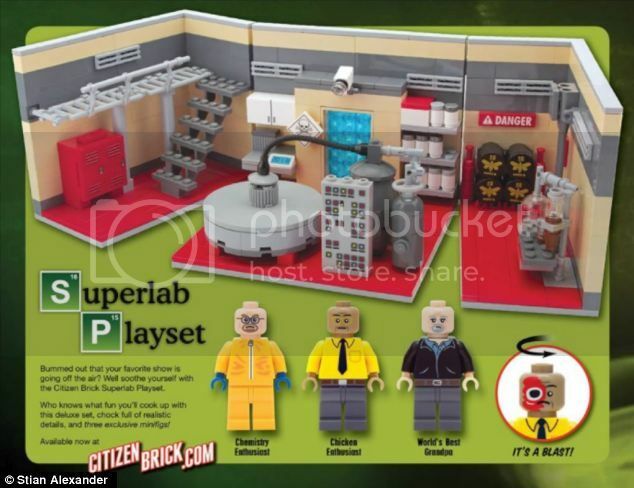 Those Breaking Bad ones look incredible. Those sets look cool. I've been watching through the entire series. Currently halfway through season 4. Awesome show. Agreed. I think that show will go down in history. The finale was such an epic end to an epic show! Does any one know if we gonna get a jesse figure? Better Call Saul! Really excited to see more of Bob Odenkirk on TV, that guy is hilarious. 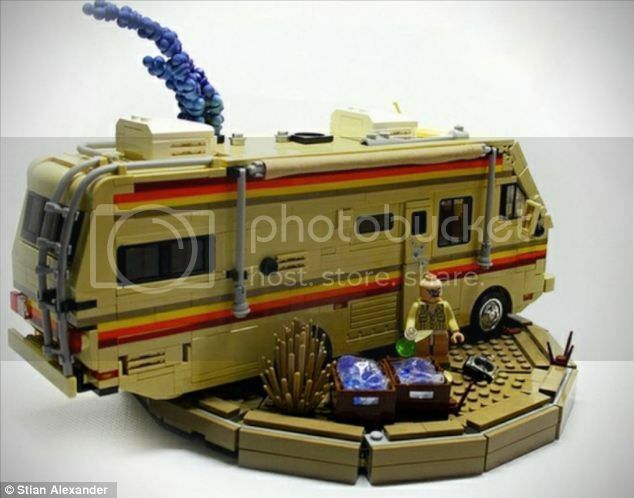 I've been wondering the same thing about a Jesse figure after seeing the Mezco Walter White figures, but it's also weird that Citizen Brick didn't make one for the Lego sets. I'm not at all familiar with Naruto and Bleach, but if I'm not mistaken Tamashii has already started releasing Figuarts Zero Naruto figures. I recall seeing one on BBTS and the pics from SDCC I believe. They are also releasing SH Figuarts Naruto figures starting with Naruto Uzumaki but not sure when the release date is. Lol, I'm guessing it's all the same figure for a doppelganger display? I'm not a big fan of Naruto, but it looks pretty cool. Damn, that Mecha Godzilla looks spliffarific. If I got any MonsterArts, it'd be that one (the one with the blue cannons). That whole display with the buildings and everything is just amazing.